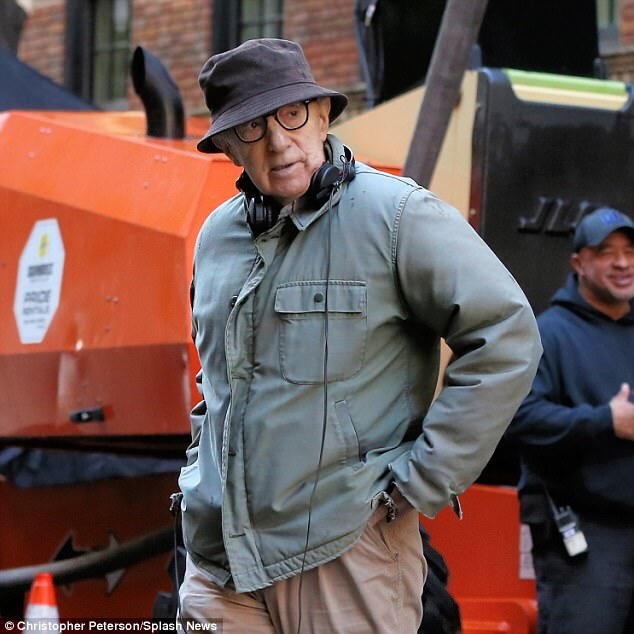 Filming continued this week on Woody Allen’s 2018 film, currently in production in New York. 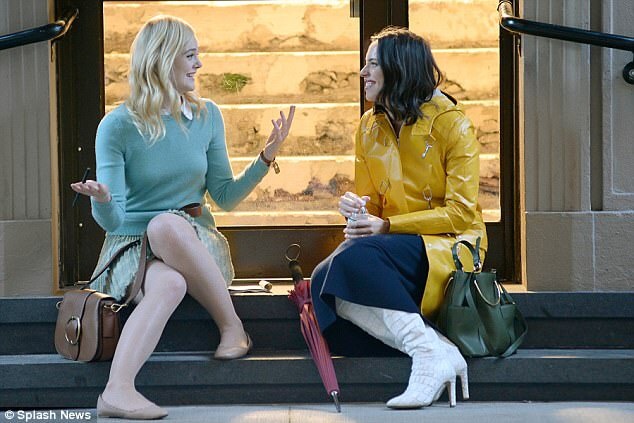 The 6th week of shooting brought us our first look at Rebecca Hall and Kelly Rohrbach, and an official look at Jude Law. Daily Mail has a good gallery. Rebecca Hall was spotted for the first time on Wednesday. 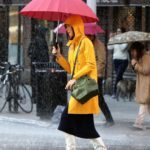 She was wearing a wonderful raincoat, bracing the rain that seems to be a big part of the script. This is Hall’s second time working with Allen, previously starring in Vicky Cristina Barcelona in 2008. Filming took place on the corner of East 10th Street and University Place near Greenwich Village. The exact location looks like 23 East 10th. The shoot included a big rain machine. 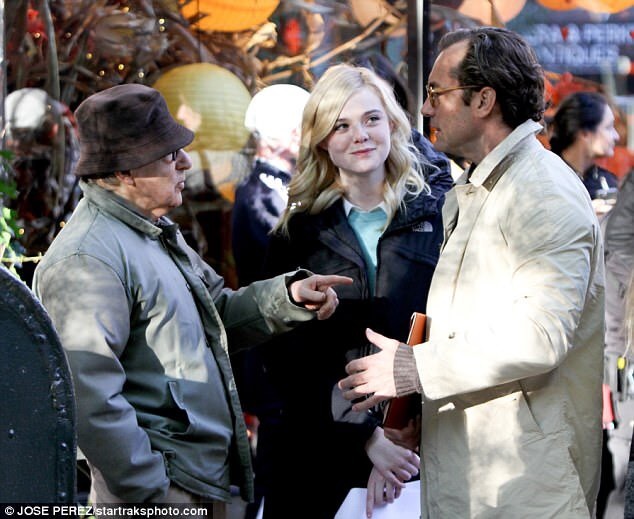 Elle Fanning and Jude Law were also there. Again in the rain, they shared a scene, hiding in a car and running into a taxi. It is the familiar outfits we have seen so far for both of them. Woody Allen’s official Facebook shared an image of Allen and Law together. 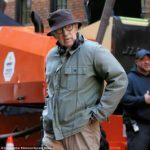 Filming also took place at Tribeca on Thursday. Kelly Rohrbach was spotted on set for the first time, although she didn’t appear to be in costume. Daily Mail has more pics. Her role is unknown. 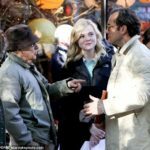 Filming is set to continue until the end of October. 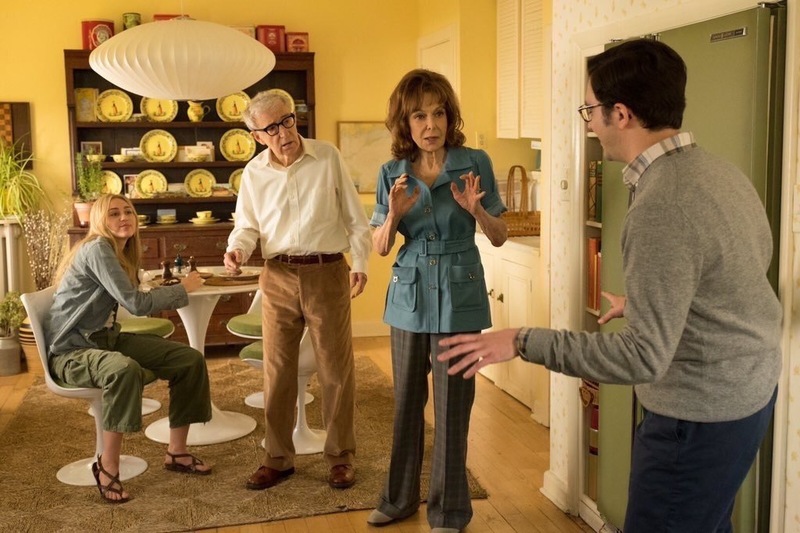 Your extensive coverage of the 2018 film has been tremendously good. I’m pretty excited about this film! Thanks CK. And yeah it looks like fun! 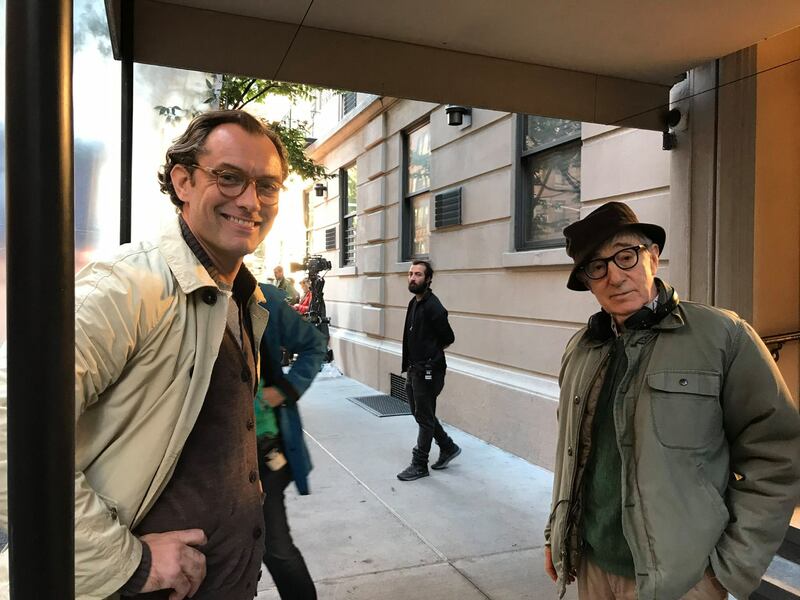 That’s a great two-shot of Jude and Woody rapping in between takes. The simpatico expression on each of their faces hopefully bodes well for for future collaborations. 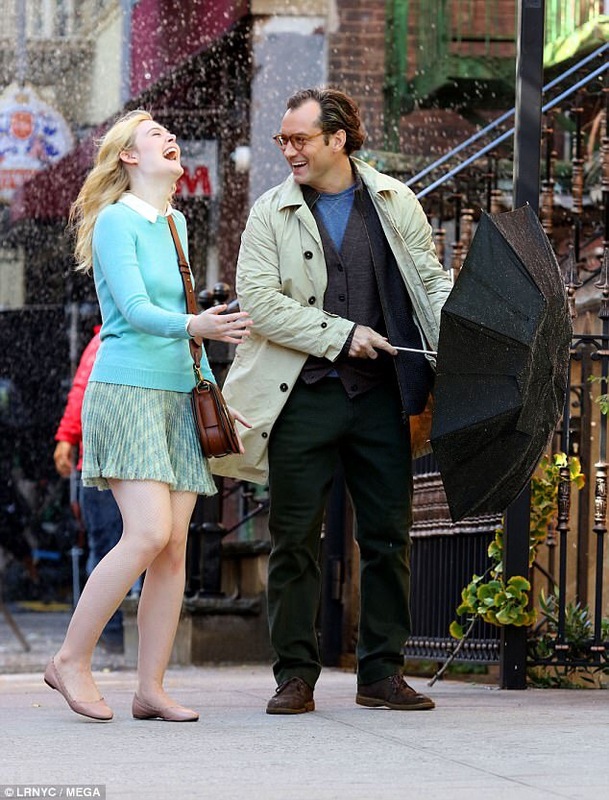 Via pressreader, Woody confirmed its title “A Rainy Day in New York”. What is it about? I cant find the confirmation. Do you have a link?